Here's a radical idea, why doesn't the DoD give each armed service the same pattern of combat uniform to wear? Then allow each branch to fold it/iron it/wear it/regulate it as they see fit. It'd save money, time, effort, etc, but who wants that? We did that for decade with the BDU, OD, and other utility uniforms. All it accomplished was saving taxpayer money (not having each branch spend millions on uniform development). The downside was that it cost many high-ranking officer valuable performance report statements and it also kept some Chiefs of Staff from being able to say that they created their branch's uniform. Why would we ever want to go back to a common uniform? Just think of all of the officers who would be denied the opportunity to claim these uniforms. Also what about the different clothing manufacturers who receive those millions of dollars to develop needless uniforms? Back around 2012 the GAO directed that this essentially happen, and that directive has been somewhat ignored, though now it appears to be happening organically. Come on. Most of the pics are captioned, making it easy to see which are the uniforms in question. You mean the way it was done for decades... until about 2005? What an amazing idea. Never understood the need for all of this anyway -- back when it all started. The Marines felt a burning need to rebrand themselves. For combat/field uniforms, different services have different missions. If we didn't, we wouldn't need ~four different branches of the armed forces. For dress uniforms, on the other hand, I roll my eyes with the other posters in the unnecessary changes. The Army went from greens to blues, and now there are strong rumors they may change again to the WW2 era pink and greens? My ex-brother-in-law was in the Army when the change to BDU's came in the '80s. At first he hated them, saying they were going to be hard to make look good for inspections, because of the way they were cut, but he admitted it would probably save a lot of money in the long run. 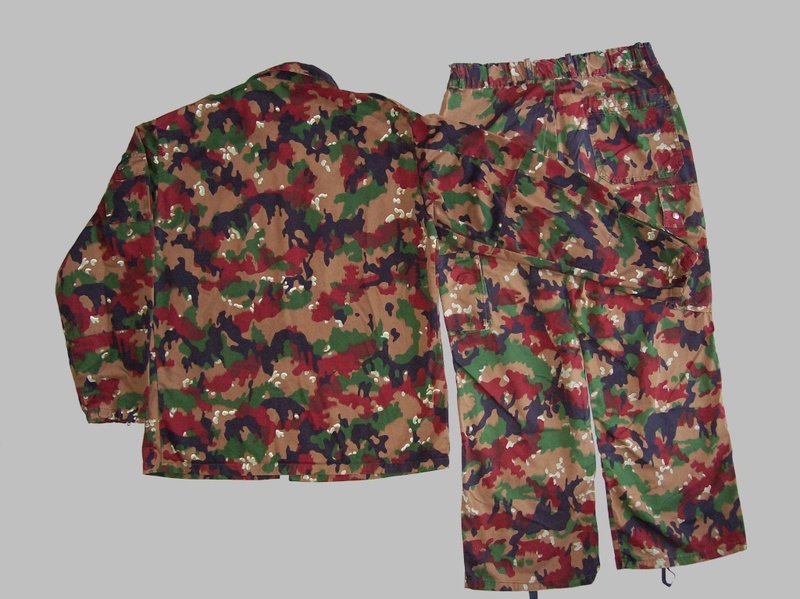 I do not see why the services have largely jettisoned the BDU (except for a handful of CG units) and gone back into their own parochialism of what camouflage is "best." A body is a body is a body and the intention of camouflage is to break up the outline and visibility of that body. It does not matter if the body inside the uniform is a Soldier, Sailor, Airman, Coastie or Marine. You can be service-differentiated by your dress uniforms. The Taliban, ISIS/ISIL, etc aren't going to care which service the troop they're sniping at is in. I like the ODU that the CG (and Auxiliary) wears. No real pretence at camouflage, just a working duty uniform. That's why I preferred the BBDU when I was in CAP. The way the USA handles such matters is anachronistic compared to the rest of the world, especially our NATO colleagues. Canada wears CADPAT for a combat uniform, no matter if you're Army, RCAF or RCN. When you go to Canadian basic training - which encompasses all three services training together - that is what you are issued. The only way you are differentiated is the colour of your beret (and I know that berets are taboo in the US armed forces, except for special-ops types). Britain is moving to Multi-Terrain Pattern (MTP) camouflage. Granted, there is some parochialism left. 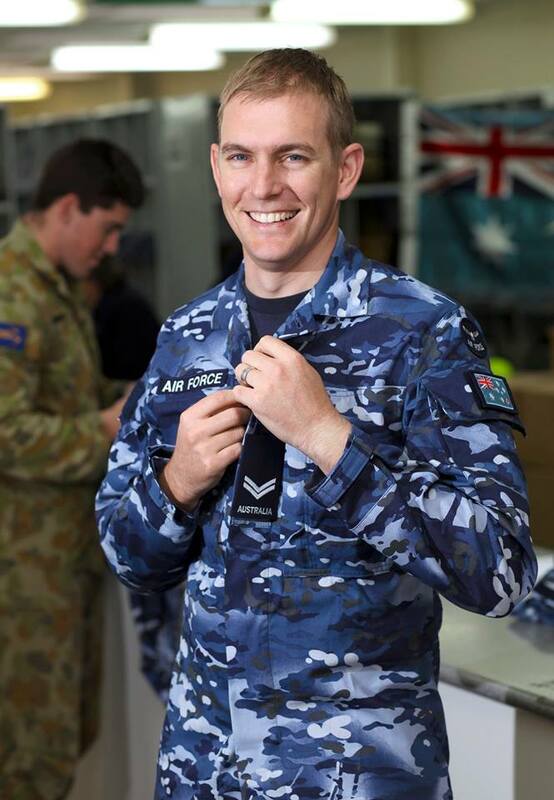 The Royal Australian Air Force has issued this multi-blue "camouflage" as a work uniform, but they don't pretend it's camouflage in the strictest sense...they came up with it simply because it looks like the sky! However, if deployed to field conditions, Aussie airmen and women will wear the same thing their Army counterparts wear (as seen on the bloke in the background). Note: no pictures of Bundeswehr/former NVA uniforms, because certain individuals on here have seized on my citing such things in the past - mostly grey service uniforms to illustrate CAP's attachment to that non-colour - as "evidence" that I have a fixation on all things German. I just don't see the sense of having a multitude of camouflage uniforms based on each services perceived aesthetics. The only way you are differentiated is the colour of your beret. The Marines felt the need for a camouflage uniform that worked. Everyone else just wanted to be like us. If we wanted to rebrand we would have changed all our uniforms...........kinda like the Army. More like they found themselves flush with cash and instead of doing something smart with it, they just made some contractor richer. No reason to have different cammo patterns when the different branches are operating in the same AOR. For many years the military wore BDUs with a pattern that was designed to fight a war in Europe. When we deployed to a less green environment we were issued DCU/chocolate chips. I can't think of a good reason for the different branches to have a completely different utility uniform. They should all be the same with the exception of the pattern which should be dependent on the AOR. In the AOR, everyone should be wearing the same pattern regardless of their branch of service. As far a dress uniforms go, I just wish the USAF would move toward a more military-looking jacket. So how come the other services were years behind the Marine Corps? Multiple years of being flush with cash? During the upbeat of major combat operations? Do you know what we had to do to accomplish the mission in the first couple years of OEF? I'd tell you but I'm not sure if the statute of limitations has worn off yet. Mmkay.....so reading that where does it say the Marine Corps or the DOD in general had a bunch of money just laying around to blow on uniforms? I see a big increase in 2002.........guess what, we were spending a bunch more money too.....Well the Army and AF were, we still had hand me downs. Yep....I still have my DPM jacket, which I had to buy in 1981 because the RAF was too poor to issue them generally, and that pattern was in use for at least 30 years. It did prep and clean easily, although I was glad to see the end of the DMS ankle boots! Always jealous of the different beret colours, though...! I do not see why the services have largely jettisoned the BDU (except for a handful of CG units) and gone back into their own parochialism of what camouflage is "best." The CG transitioned from BDU and DCU to NWU Type III in late 2012. When I was in Kuwait we got a lot of jealous looks from the navy people, who were sweating profusely in their Type III's. I don't know that the Marines were way ahead of the power curve, per se? MARPAT is actually CADPAT with different colors plugged-in. PEO Soldier found that just plain old coyote brown or neutral grey is better than most actual camo patterns. It's all been written on ad-nauseum. Having to adopt Multicam/OCP is going to hurt the USMC the most. I can already hear the open weeping. Sorry guys.